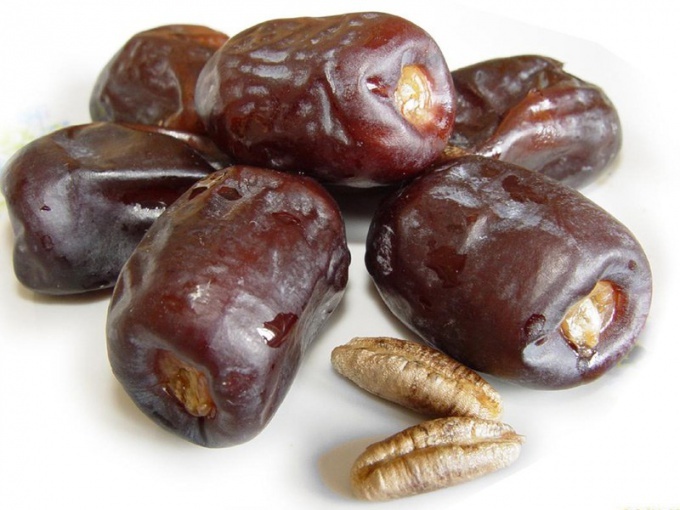 Due to the high content of sugar (55%), dates can be stored for a very long time without requiring special conditions. Tamarind is a rich source of vitamins ( A1, C, B1, B2, B5, B6, E), amino acids and minerals, especially much in it of vitamin A and phosphorus. Keep fresh figs in the refrigerator for two months (like any other fruit, they are stored worse, if they are pre-wash). Wrap figs in paper or put in a container with a lid, as the fruits absorb odors products in the refrigerator. Of the more than four hundred and fifty varieties of figs are distinguished more and less suitable for long-term storage varieties; the most adapted to store include šárka (the most common sort) and ar-Rosanna; Sarka - date light-red color, in dried form - almost black; ar-Rosanna - yellow, ovate and medium in size. Keep pressed dates in normal conditions at room temperature. They do not require special storage conditions, as have been pasteurized. Keep dried or dried dates in a cool, dark place. Put them in a glass jar and close the lid. Storage will also fit the lower shelf of the refrigerator. At a temperature of about zero degrees dates can be stored for about one year in the freezer they can be stored for five years. Make a paste of fresh dates. Wash the fruit and remove the stone. If you got a very soft variety, put the fruit for an hour in the freezer, so it will be easier to cut and remove the bone. Pour glass of fruit in the blender, add half a Cup of water, grind until smooth, put in container, cover and store in the refrigerator up to two weeks. Make a paste of fresh dates, as do the Arabs for long storage of fruit. Wash dates and remove stones, place in a bowl a Cup of fruit and half a Cup of water, simmer until tender (be careful not to evaporate all the water), then knead until smooth, let cool, put in container and close tightly. The paste can be stored in the refrigerator for several months.